8 day American drop dial wall clock made by the New Haven clock company around 1900. 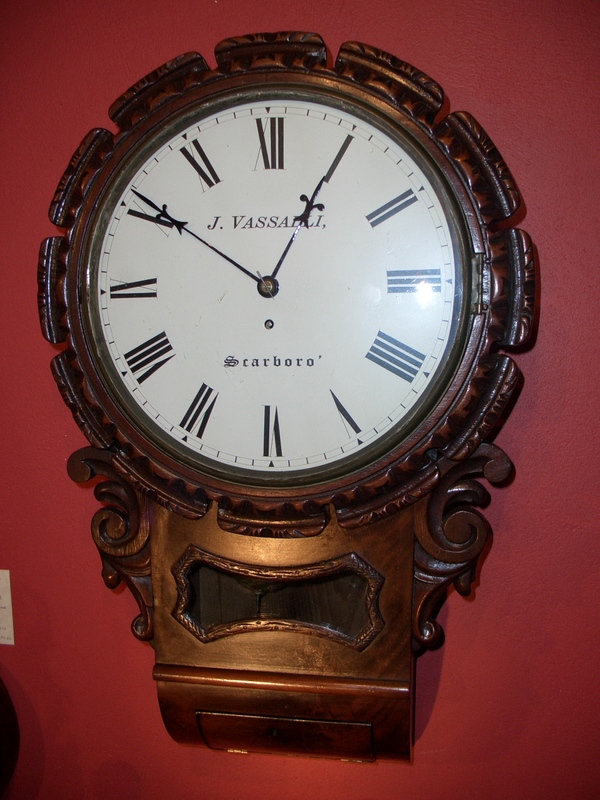 12″ painted dial with Roman numerals and Maltese cross hands. Fully restored with one years guarantee. 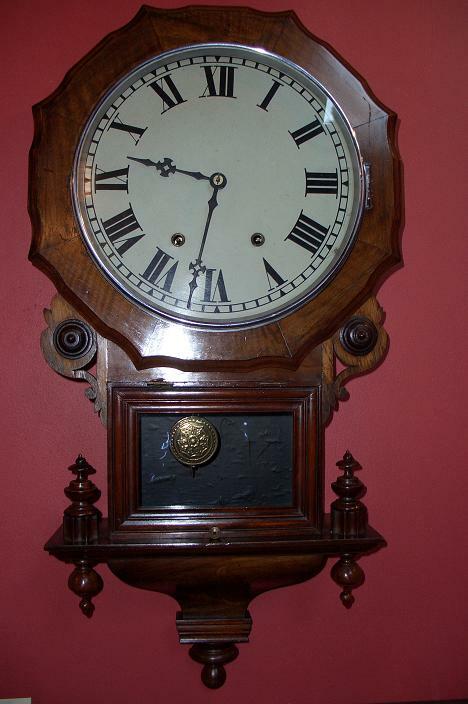 Mahogany cased round dial wall clock. 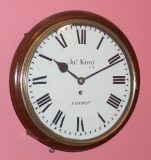 12" painted dial signed James King - London with Roman numerals and spade hands. Single train fusee movement. Fully restored with one years guarantee. Ref: t3620.